Beck was in Toronto over the weekend for a show at the city's Budweiser Stage. 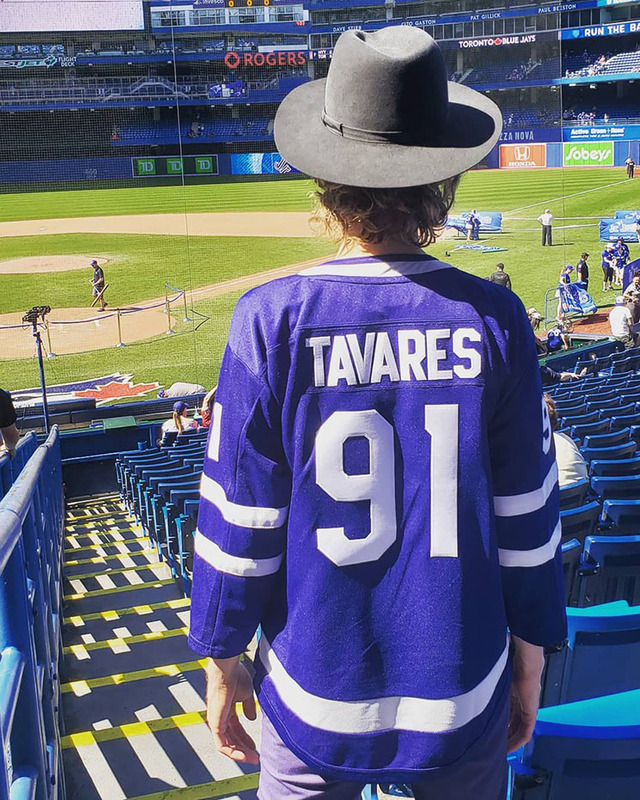 Apparently the musician also soaked in some local sports while he was in town, since Beck gave the Blue Jays, plus new Toronto Maple Leafs signing John Tavares, a shoutout on social media. He posted the above photo on Twitter. It shows him at Rogers Centre during what appears to be the Blue Jays' pre-game warmup. In the photo, he's wearing a Maple Leafs jersey with the number of recent superstar signing John Tavares. Beck celebrated his 48th birthday on Sunday (July 8), so it appears that this Blue Jays game might have been his birthday celebration. Read our review of Saturday's show here.